Publication – October 9th, 2018. The most underwhelming book I’ve read in 2018. It’s cute and all that, even funny in some places, but it was also pretty boring, I don’t even know if that makes sense. 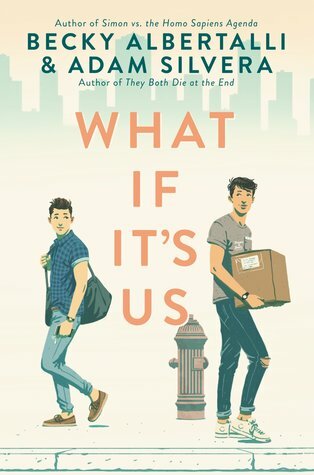 I would like to say, the characters aren’t relatable, the writing was just off and didn’t merge well, the friendship in this book also didn’t read as well as it should. So many cutesy moment and so many moments which had me shaking my head, especially how predictable and ugh! the story goes, yes it’s a sweet story but just many things didn’t jell. I love how it touched on subjects about race, white-passing, being lost culturally, family and homophobia. The whole book is just too cliche, like nothing spectacular about the plot or anything at all. I would go on but I would spoil the book and it will turn into a rant, that will make me change my mind and kinda hate the book, which at this moment I do not. I anticipated this book because of Becky Albertalli, not even because of the hype and here I am disappointed.